How to Be a Maker: Build Arduino and Raspberry Pi Projects Easily! 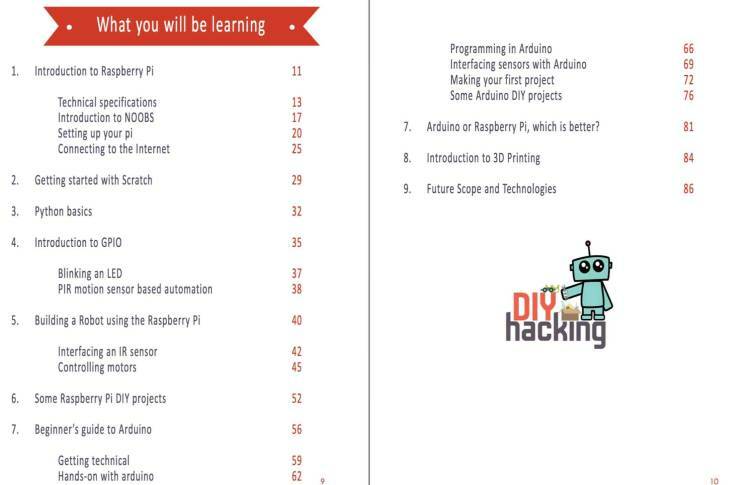 This e-book is a beginner’s guide to getting started with Arduino and Raspberry Pi. 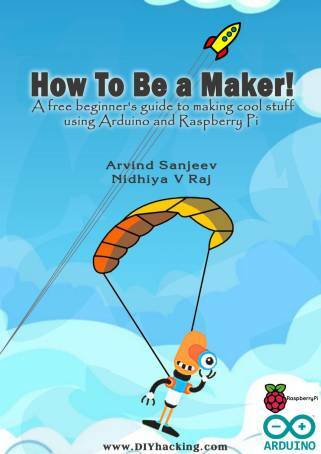 DIY Hacking has released its first free eBook titled "How To Be a Maker". It is intended to be a beginner's guide to getting started with working on Arduino and Raspberry Pi 2. It will help you to build really cool Arduino projects and raspberry pi projects. And will transform you into a Maker! It can also be used as a guide to building the best science fair projects in the world. Using this, a person will get a basic understanding of Arduino and raspberry pi 2. They will be able to build their very own robotics projects for the first time. It consists of very simple and detailed information about these platforms. And can be used as your first stepping stone into building electronics projects. It also consists of around 4-5 simple beginners projects that you can try out. 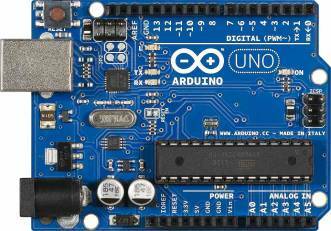 Arduino is an open-source microcontroller board.It is an embedded electronics platform. And is designed for quickly prototyping an electronics project. It uses a programming language comprising of simple and easy C/C++ functions. It is a perfect tool that can be used for working on your school science fair projects. Or your college robotics projects. And to quickly prototype a cool product idea. This eBook will make you comfortable in using the platform. Starting from its installation to building your first Arduino projects. 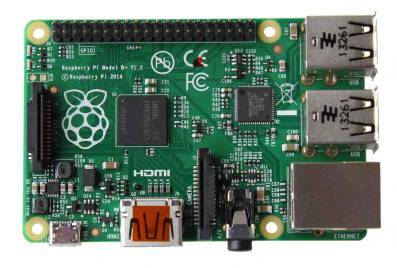 The Raspberry pi is an extremely sleek and tiny single board computer. It is about the size of a normal credit card. And runs on a Linux-based operating system called the Raspbian. This board can be thought of as a miniaturized version of the motherboard in your CPU. It might not offer the same powerful processing capabilities as a normal PC, but it gets the job done. The raspberry pi 2 can be manipulated to turn ON/OFF relays, LEDs, etc using its GPIO pins. It is controlled using python programming (one of the easiest programming languages). 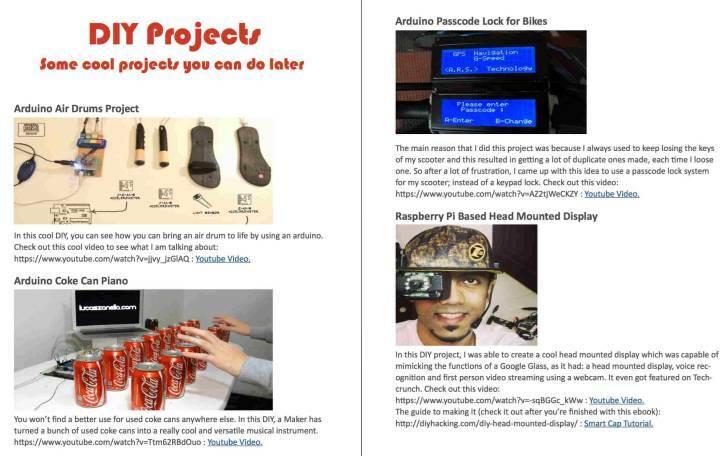 This free eBook will be the perfect beginner’s guide if you have just recently bought a raspberry pi 2. It will guide you starting from installing the Raspbian OS till building your first Raspberry pi projects. It even features a cool DIY tutorial on building a robotics project using it. It also features a prolific number of DIY projects based on Arduino and Raspberry Pi. These would be perfect for building your science fair projects. Or if you are into robotics or mechatronics, it will help you build your first robotics project using raspberry pi 2 or Arduino. Most of the projects have been developed by DIY Hacking. So if you ever need support, you can directly post your comments through our online tutorials.